Winnie & Walter release day! 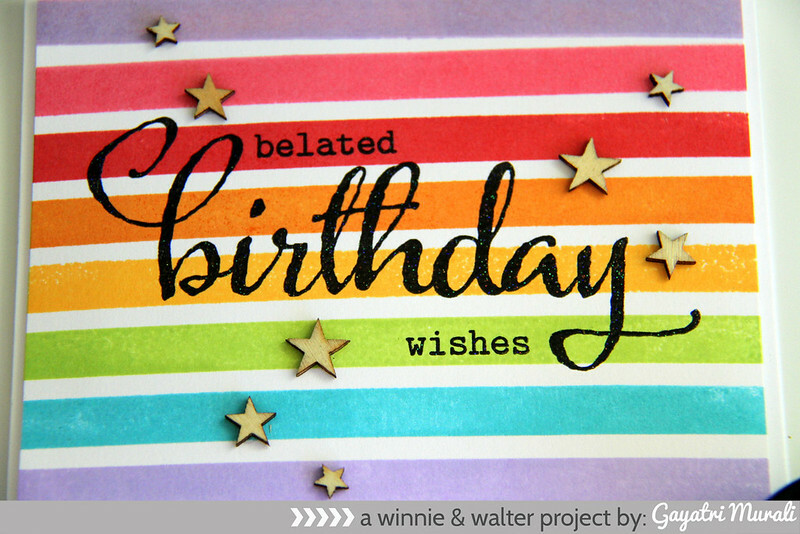 Hope you have enjoyed the previews of Winnie & Walter’s 1st Birthday new release. 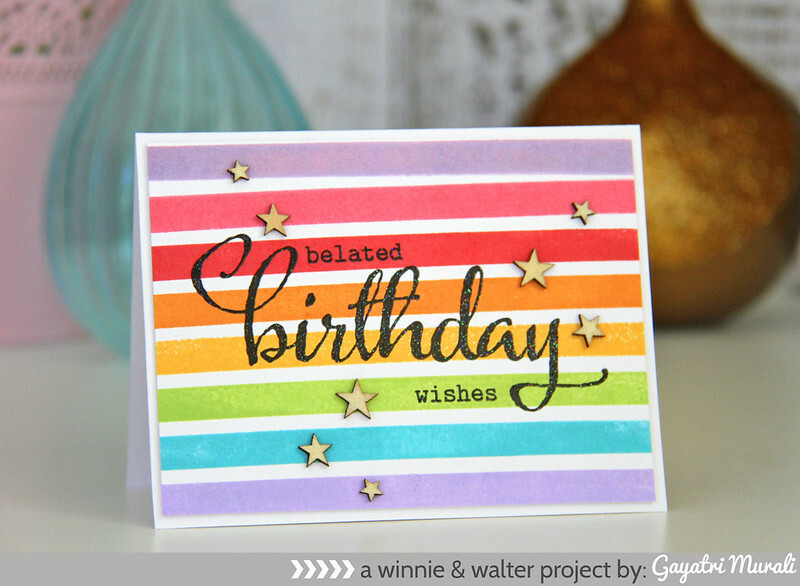 I have a final card using The Stripes and The Big, the Bold and Party stamp sets. I have stamped one of the solid stripe image from The Stripes stamp set in rainbow colours for the background and then heat embossed the sentiment from The Big, the Bold and Party stamp set. A few wood veneer stars to accent. The rainbow colours on the background highlights the bold birthday sentiment. I love the simplicity of the card. All the stamp set and dies are now available for purchase from Winnie & Walter store. Love this bright and cheery card Gayatri. It is a stunner. Such a happy and bright card Gayatri. Awesome work!